Spotsylvania is more than U.S. history and crazy-good fishing. 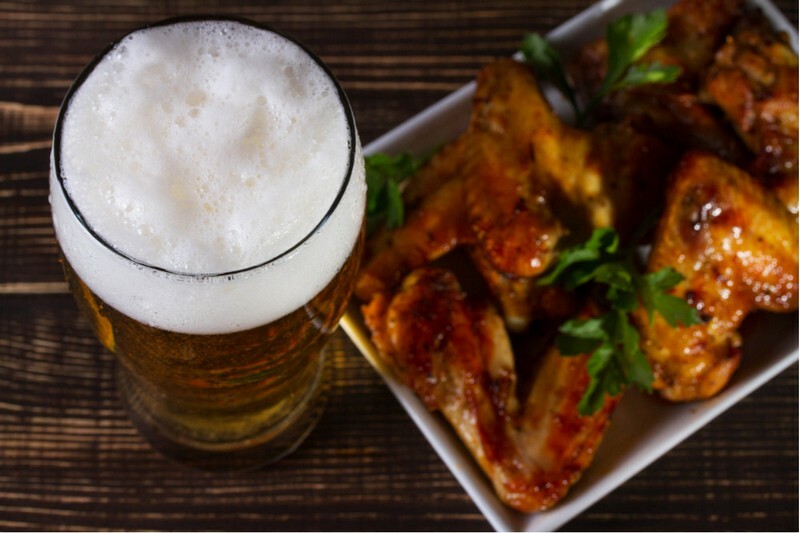 It’s also full of great spots to soak up some locally-crafted adult beverages, from spirits to wine to good old Spotsylvania Stout. Here are some tips to get you started, and be sure to bring along a designated driver. Go on and say it - it's fun! Anna Cabana. Anna Cabana. Anna Cabana. Arrive by land, or, better yet, by water. 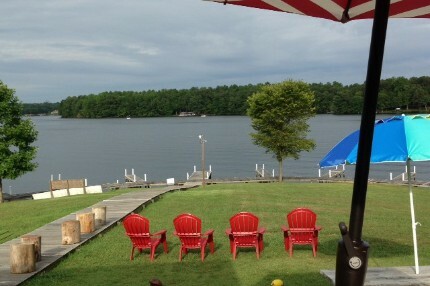 On two acres with 500 feet of Lake Anna waterfront, Anna Cabana is a nice spot to kick back for a beer and a plate of pork nachos. Kids and pets welcome. Live music on the deck. 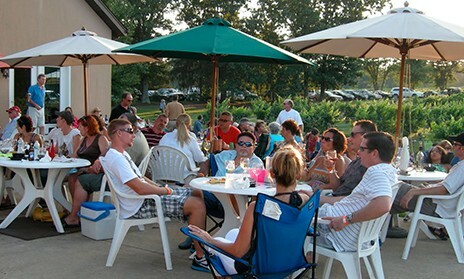 In the summer, hanging out at Lake Anna Winery with a bottle of Lake Side White is part of the pilgrimage for weekenders. In the winter, the party moves indoors and the Spotsylvania Claret comes out. It’s all good. * Lake Anna itself offers 13,000 acres of swimming, sailing, water-skiing and sport fishing. At the Lake Anna State Park, visitors and the community enjoy picnicking, horseback riding, bicycling, hiking/walking trails and camping. This small family-owned distillery has a long history of hooch-making in the Spotsylvania area. 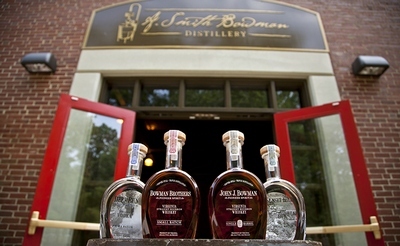 Stop by for a free tour (conducted hourly) or a tasting of their specialty small-batch and single-barrel bourbons. 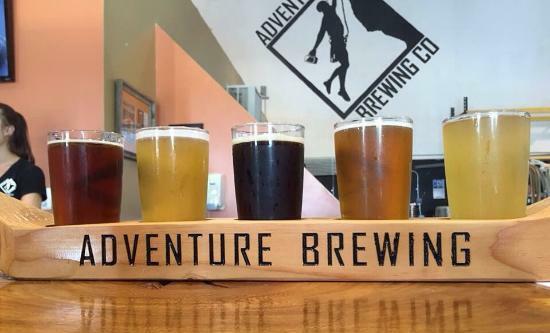 Adventure Brewing doubled its footprint when it took over Spotsylvania’s Blue & Gray Brewing. Visitors to Adventure South can belly up for a tasting, or go in for a full pint and a burger at the on-site brewpub. Harry's makes everything from scratch ("no microwaves anywhere! "), which is very impressive given their wide-ranging menu: Tex-Mex, southern/Creole, burgers, pizza, pasta. Personally, we're settled on the Cuban Lechon Asada sandwich. Or fish tacos. Or...rib-eye. Fortunately, Harry's Beermeister works just as hard, bringing in 24 local craft brew choices on tap to complement that tasty menu. Two firefighters decided that starting a brewery would be more fun than finding part-time jobs, and Maltese Brewing Company was born. The nano brewery serves up IPAs, blonde ale, English brown ale, witbier and creative seasonals. Check the website for food truck schedule. 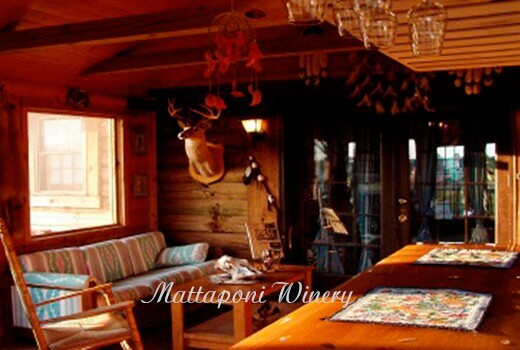 Mattaponi is famous for its strawberry wine, which has won awards all over the country. That and more are poured in the log cabin tasting room.